Whether your idea of fun and relaxation is to come home to an apartment with breath-taking ocean views, a cosy log fire in winter - after a day spent exploring the galleries and wineries of the South West; or taking the children across to the beach, world renowned for its surfing and swimming, you will find it all at Canal Rocks Beach Front Apartments less than three hours drive from Perth in the heart of the Yallingup, Margaret River region. 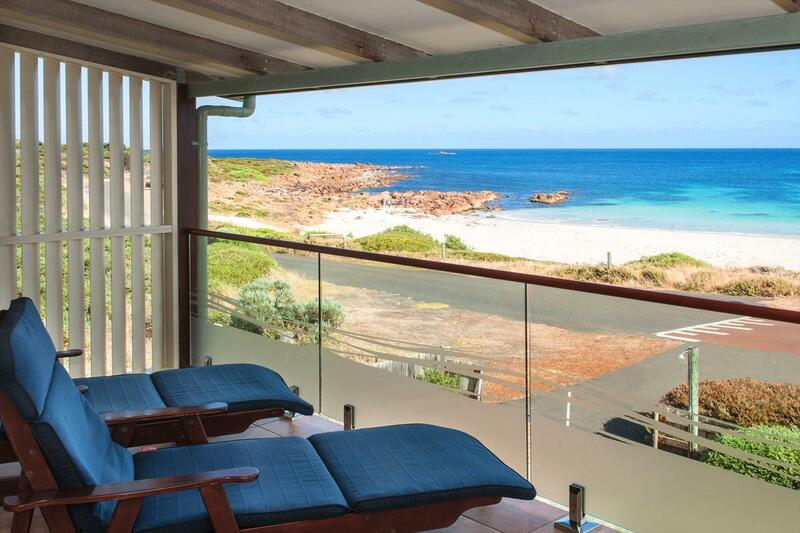 Great location overlooking smiths beach and awesome place for a holiday. Very close to a coffee shop (just next door) and has lovely rooms to stay in, when we first went In the rooms were all clean and tidy. Easy walk to the beach just down the stairs. If you do manage to go for a swim there are out door showers (cold only) but their only for guests. Over all this is a very nice holiday place.